Ready to bring your family rafting on the Yampa River? Rafting the Yampa River this Year? 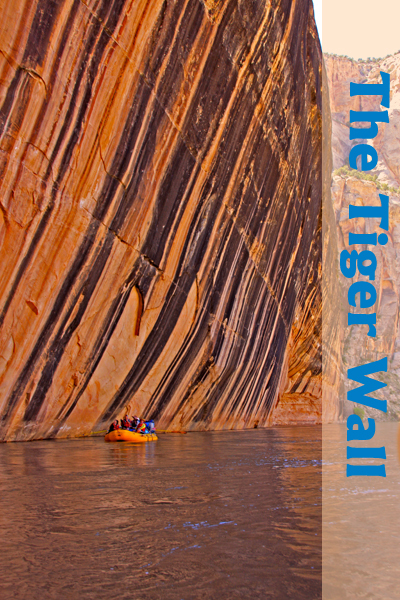 This week's "Family Rafting Highlight" is the Untamed Yampa River in Dinosaur National Monument. A guide favorite, this river stretch is great for couples, mature families and those who want to experience some whitewater. True Family Escape: This remote setting inspires a chance to reconnect with fellow family members and relax. What you will love: The solitude of a rarely run canyon, inflatable kayaking during the day, and playing horseshoes with your dad or sister in the evening. What you will love about being with the SGRE family. (the GUIDES!) The way they express and animate the amazing stories of the Yampa River. How easily they can get the job done from cooking and cleaning to rowing the boats. Nature that makes you say WOW: Towering Steamboat Rock, The Tiger Wall and Warm Springs Rapid- with its infamously nicknamed MAYTAG HOLE! Things you can learn along the way: History of Fremont Native Americans, Smore's are just as delicious at 35 as they were at 10, and that a glass of wine is WAY better on the Yampa River's edge. Why your family should do the Yampa River this YEAR! The Yampa River, through remote Dinosaur National Monument is an easy escape! As the last free-flowing river in the Colorado River drainage, the Yampa can be incredibly wild in May and June. This remote rarely run canyon gives your family a great opportunity to relax, unwind and really have fun with new friends or old family members. 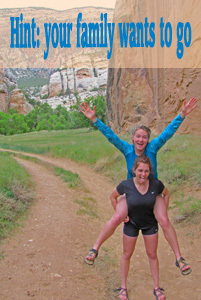 With options such as inflatable through classic whitewater and hiking to the Mantle Cave this years “Family Highlighted" Yampa River trips are not ones to be missed in 2014! NOTE: We have already closed our May 22nd launch for the 4 day Yampa River trip.The Yampa River is where you want to be this year, so book quickly!